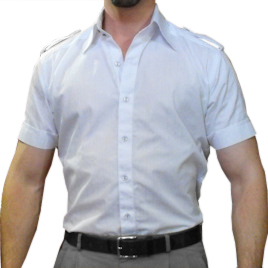 Okay deep breath, this shirt is exactly the same as the Royale shirt and I love it, bit of advice go for the better material it is worth it. If I could rate this shirt higher than good I would. The quality is superb and I have seen nothing in the UK like it. It arrived just under 3 weeks after ordering I got the email saying dispatched on the 5th and it arrived on the 7th. I will be buying more from Magnoli Clothiers there is nowhere like them. Wow.